Dodge Journeys sit in the showroom opposite a brace of better crossovers named Cherokee, Renegade, and Compass. They’re smaller, but have much better handling and safety content. The 2019 Dodge Journey posts a low base price and a fairly large cabin for up to seven passengers—and that’s all. Woefully out of date in terms of safety, the 2019 Journey also doesn’t have much in the way of the latest features, and its styling has grown stale. The Journey is still here, despite yearly rumors of its demise: Fiat Chrysler had planned to replace it long ago with a new vehicle, but all the attention’s gone to Jeep instead. You’d be better off with a Jeep crossover, in any case—any one of them. The Journey still sports the same shape it has since 2009, albeit with an interior upgraded in the 2013 model year. Powertrains haven’t changed either. The base Journey still sports an inline-4 coupled to a 4-speed automatic, a factoid we’ll be struggling to remember years from now in auto trivia contests. The V-6 model’s much better baked, and the Journey rides well enough, but you can do better. The Journey’s ample interior presents the best pitch it has for new-car buyers. Four adults fit well, and five can sit inside without resorting to name calling and elbow shoving. The second-row seat slides to adjust cabin or cargo space, and there’s a third-row seat, though it’s sized only for kids. Where the Journey face-plants is in safety. Crash-test scores are poor; there’s no automatic emergency braking; a rearview camera only became standard when the Feds forced the issue. 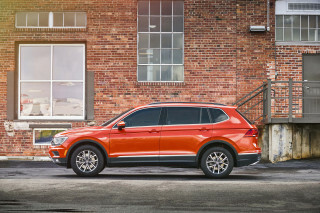 It’s shy on other features, too; Dodge makes base Journey drivers pay for Bluetooth connectivity, and its 8.4-inch touchscreen infotainment system isn’t Android or Apple compatible, and won’t ever be. 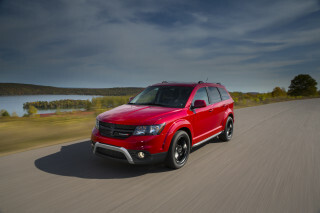 The Dodge Journey's long in the tooth, and it shows. Got your acid-wash jeans ready? Then you’re ready for a drive in the Dodge Journey, which hasn’t changed all that much since 2009, and seems almost ready for a throwback comeback, it’s been around so long. At one time the Journey’s shape held up well, with its sort-of-Subaru look. The chunky body and squared-off grille complemented other Dodges with its faux ruggedness, even though the Journey isn’t meant at all for off-road driving. Base models get untinted glass and steel wheels, but dressed-up models carry less shame, with chrome roof rails and unpainted body cladding on the Crossroad version giving it its most contemporary look. The cabin in the Journey is dull, painfully straightforward. The soft contour of the dash gets attractively grained plastics, and it’s not a terrible place to while away the hours and miles; it’s just not inspiring at all. The Journey Crossroad gets the most interesting treatment, with a leather-and-mesh trim. The 2019 Dodge Journey falls behind most crossovers in performance, but rides reasonably well. 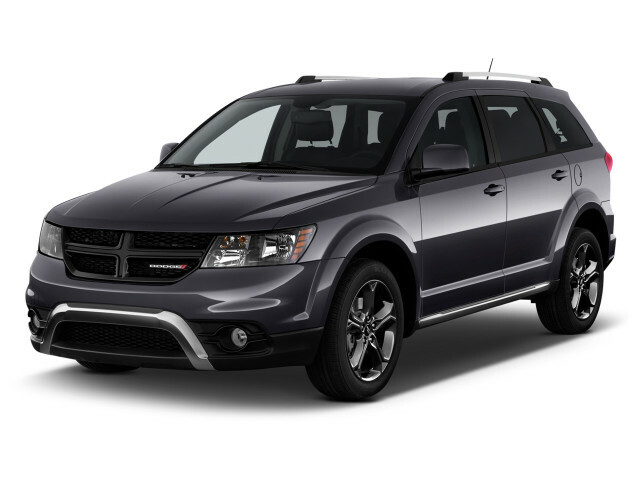 When it comes to performance, the Dodge Journey does best in ride quality. Its base powertrain is outdated, and its strong V-6 couples to an older automatic. The base 2019 Journey struggles for acceleration and attention. It offers a 2.4-liter inline-4 with 173 horsepower and 166 pound-feet of torque, and dates back to the last decade in its most recent iteration. It’s grumbly, groany, and not powerful enough to overcome about 4,000 pounds of curb weight. What’s more, on base models, it’s saddled with a 4-speed automatic that’s really a relic. It manages only meager acceleration, and only then when only a passenger or two are on board. Optional or standard on all Journeys is a 283-hp 3.6-liter V-6 with 260 lb-ft of torque. It’s Dodge’s workhorse engine, and comes with front- or all-wheel-drive configurations and a 6-speed automatic. While better than the 4-speed, the 6-speed still is shy a few gears from vehicles in Dodge’s own family; it’s hardly state of the art. The V-6 puts up feisty acceleration, but the automatic confuses some commands for suggestions. The Journey rides better than it scoots. It has old-school hydraulic power steering, rather than modern electric steering, so it has something in the way of feedback, with good on-center feel and natural unwind. That’s too esoteric for what it’s supposed to do, but any driver will recognize the comfortable, slightly soft ride it has on smaller wheels and tires, though it tends toward jiggly on the 19-inchers on GT models. The 2019 Journey is at its best when four or five adults need a ride. The 2019 Dodge Journey has more space than the average compact crossover, and lots of room for passengers in the first two rows of seats, not to mention their cargo in back. The Dodge Journey’s standard front seats have six ways to adjust their angle and distance from the dash, but passengers don’t get control over their seat height. In the second row, two passengers will find good space and support, and a third might fit for a brief crosstown ride. The bench seat’s best tricks come when it slides on a track; space can be configured for better leg room or for more cargo space. The second-row seats can be fitted with child boosters, too. The seatbacks fold down to expand cargo room, but the Journey’s slide-away mechanism is rudimentary, which means access to the cramped third-row seat isn’t easy. In all, the Journey has 67.6 cubic feet of space behind the front seats, but when all the seats are in use, it has only 10.7 cubic feet of room behind the rearmost seat. The Journey isn’t a luxury ride, at all, but the cloth upholstery on base versions seems durable. Leather seats can be fitted to Crossroad and GT models, but we don’t recommend spending any more than you need, if you decide you need a Journey. 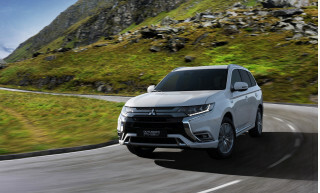 Safety	1 The 2019 Journey is one of the lowest-rated vehicles for safety. Safety should be a primary concern for any family vehicle, but the aged Dodge Journey just doesn’t compete on this critical scale. The 2019 Journey comes with a standard rearview camera, finally, but it doesn’t have anything like automatic emergency braking or forward-collision warnings. Fiat Chrysler long ago had planned to stop making the Journey, but it’s been kept around while the company designs new small crossovers. The Journey’s stayed too long at the party, from a safety perspective. That’s confirmed by its crash-test ratings, which earn it a “Poor” rating for frontal impact protection on the IIHS’ tests. The NHTSA gives it a four-star overall score. It’s more competitive with old SUVs from the 1990s than it is with other new vehicles on sale today. The Journey lacks the amenities we’ve come to expect in crossovers. Dodge has dropped the SXT from the 2019 Journey lineup, and added standard equipment to the base model. The 2019 Journey SE costs about $26,000 and has standard LED taillights this year, as well as power mirrors, windows, and locks; a third-row seat; and a 4.3-inch touchscreen audio system with USB port. Dodge sells a CD player, Bluetooth connectivity, and rear-seat child boosters as options. The Journey Crossroad is the best value of the lot. It wears unpainted body cladding, leather upholstery with mesh inserts, and gets a power driver seat, 19-inch wheels, satellite radio, and an 8.4-inch touchscreen infotainment system that’s not compatible with Android Auto and Apple CarPlay. Options include rear parking sensors, navigation, and a rear-seat entertainment system. Spend as much as you can on a Journey—more than $33,000— and the GT model adds heated front seats, a heated steering wheel, and a stiffer suspension. A trailer tow prep package is available. We don’t recommend the Journey, but we really don’t recommend this expensive trim. 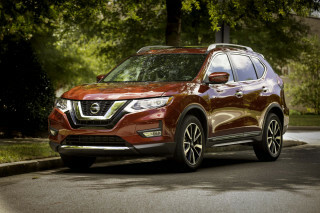 Gas mileage is usually a crossover strength, but not here. The EPA hasn’t confirmed the Journey’s gas mileage ratings yet for 2019, but they shouldn’t change much, if it at all. 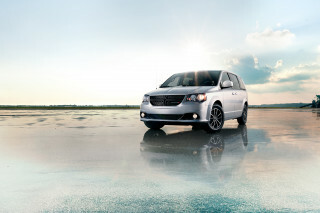 We base the rating of 3 on the most popular Journey, a V-6 with all-wheel drive. The most recent ratings for that version come in at 16 mpg city, 24 highway, 19 combined. With front-wheel drive it’s marginally better, at 17/25/19 mpg. 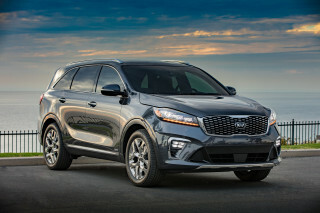 With front-wheel drive, a 2.4-liter inline-4, and an outdated 4-speed automatic, the Journey’s pegged at 19/25/21 mpg.